The Editorial Board of the AIUB Journal of Business and Economics [AJBE] is delighted to publish the speech of H.E. Fidel Valdez Ramos, Former President of the Republic of Philippines; Chairman, Ramos Peace and Development Foundation (RPDEV) and the Boao Forum for Asia (BFA) for its current issue. The speech titled “Our Supreme Challenge: Educating the Universal Citizen” was delivered in The XV Triennial Conference of the IAUP, University of Viña del Mar, Chile in October 2008. Mr. Ramos, in this speech, discusses the importance of high quality education and Information and Communications Technology development in the South and Asia Pacific region, in particular. He emphasizes the importance of good governance and transparency in policy making and law enforcement in establishing adequate provisions and awareness for education. He distinguishes between education and effective education, and the line of difference leads to debates and issues that should be immediately addressed. 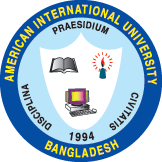 Most of his thoughts, expressed in this speech, relate the common pledge of high quality effective education to the current scenario in Bangladesh. We believe this speech is a scholarly contribution; it is a perfect blend of motivational words and stylized facts. We strongly believe this speech will add enormous value to our current issue, as we have found with his other speeches which we have published before. The purpose of writing this paper is to discuss the economic condition of Bangladesh in regard to global economy and the challenges Bangladesh face to keep pace with economic globalization. This paper explains what challenges restrain Bangladesh to accelerate its trade and business globally. Also mentioned in this paper some prospects of this country’s economy, in which investment and business can be accelerated with foreign countries. This paper also examines some basic obstacles of Bangladesh economy and it also describes some recommendations of how to solve these obstacles to build a sturdy economy for Bangladesh. This empirical study estimates the revenue losses derived from different categories of taxpayers who used Self-assessment System (SAS) under direct taxation in Bangladesh. Even though a small portion of populations live in urban areas (over 80 percent live in rural areas) that used the SAS in filing tax-returns, they significantly contributed to the problem. Revenue loss due to these taxpayers’ noncompliance with laws of income is a growing problem where the past five year (2000-2004) data statistics suggested that the Private Ltd Companies and Public Ltd Companies contributed significantly to accelerating the problem. With governmental ongoing various measures including the provision of SAS that was designed to encourage taxpayers for compliance, the tax-evasion issue in Bangladesh is critical, which deserves immediate attention. It is suggested that i) government offers incentives such as tax break to taxpayer (employer) for adopting computerized payroll system ii) an introduction of a set of regulations that can ensure appropriate designed taxes & its strict implementation and iii) an effectiveness of tax administration, which can be achieved by establishing liability & incentive provisions in practice under neoclassical economic theory are warranted to curtail the magnitudes of the problem. This paper reviews the empirical literature on the choice of exchange rate regime. Prominent issues include: (i) the choice based on fundamentals, shocks, financial structure, and political ideology; (ii) the “bipolar view” or “hollowing out hypothesis” and its validity; (iii) regime choice in emerging economies, and (iv) the discrepancy between declared and actual regime, and its consequence on the analysis of currency regime choice. Although much has been learned in each approach, this survey highlights the areas of research in which our understanding of exchange rate regime transition is still incomplete. Observed data rejects the validity of the bipolar view. Moreover, it is seen that a substantial amount of countries diverge from their de jure regime without declaration, which needs to be taken into account for drawing a valid conclusion on the choice of a regime. From the survey it may be concluded that no empirical regularities regarding the choice of a currency regime have emerged yet. Literature strongly supports vibration of the stock price as a consequence of various macroeconomic factors (Darrat, 1990; Fama & Schwert, 1977; Jaffe & Mandelker, 1976; Nelson, 1976; Pearce & Roley, 1985; Ripley, 1973). This study has investigated the explanatory power of various macro-factors such as inflation rate, exchange rate, interest rate, money supply and production index on the variability of the stock price in Bangladesh. Multiple regression analysis has been conducted to asses the relationship between the stated macro economic factors with stock price. All share price index of the Dhaka Stock Exchange has been used as a proxy for stock price, the dependent variable of the study. No significant relationship has been found between the stock price and any of the macroeconomic factors. The study bodes well for advanced empirical models with additional macroeconomic variables. Optimizing employee satisfaction is a key to the success of any business that relies on a variety of organizational and psycho-economic factors. This study was conducted to identify that sort of key factors, which are responsible to influence on the overall job satisfaction in the growing mobile phone corporate in Bangladesh. The phone corporates, which are included here in the study, are Grameen Phone (GP), Bangla Link and Aktel. The factors included in the investigation as independent variables are Compensation Package, Supervision, Career Growth, Training and Development, Working atmosphere, Company Loyalty and Performance Appraisal. The result indicates that training and performance appraisal, work atmosphere, compensation package, supervision, and company loyalty are the key factors that impact on employees’ job satisfaction in these corporations. The study also finds that the employees of these three corporations possessed above of the moderate level and positive attitude towards job satisfaction, which could be nudged up to excellent status of employee satisfaction if the management takes those identified factors with a little more rigorous weight into their considerations and acts further accordingly. The findings of this study will help the managements of the mobile phone corporations to formulate proper policy in order to increase the job satisfaction of the employees, which will, in effect, reduce the turnover intentions of their key employees. Venture capital is the main source of equity invested in rapidly growing companies with high growth potential. Companies like Microsoft, Federal Express, Digital Equipment, Apple Computers, Genetech Inc. are examples of successful outcomes of venture capital investment. We have seen tremendous growth of entrepreneurship development through venture capital investments in developed countries during the last two decades. The success parameters and variables are not consistent in all developed nations. But developing countries like Bangladesh are far behind than that of the success story of venture capital. This paper has pointed out the investment process and global investment scenario of venture capital. Entrepreneurship development through venture investment is another major issue to be discussed in this paper. Moreover, prospects of venture capital investment in Bangladesh have also addressed.